Chairs and pads may not be used outside unless covered and on a hard surface (i.e. concrete, asphalt, patio bricks) If they get wet customer will be responsible for replacement cost of $48.00 per chair. Customer may not pick these chairs up, they must be delivered unless preapproved by management. 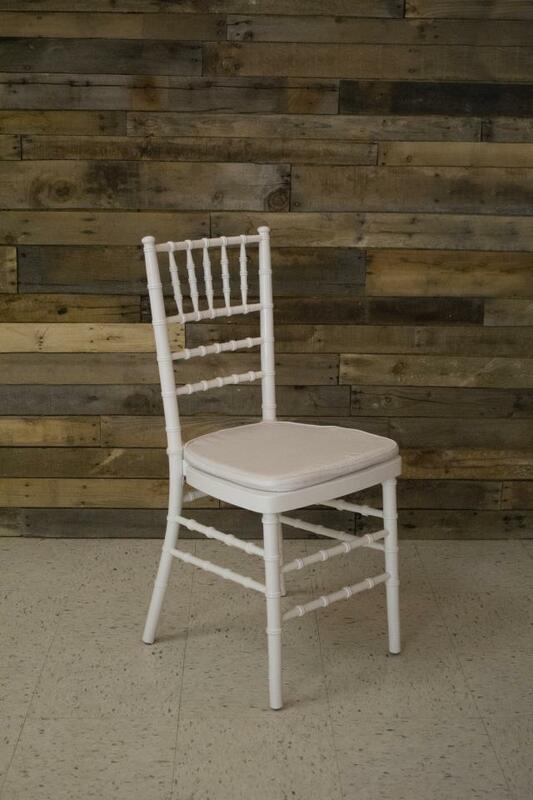 * Please call us with any questions about our chair white chiavari with pad serving Cary NC and Raleigh NC, Chapel Hill, Pittsboro, RTC & Raleigh-Durham in North Carolina.